Happy Saturday SCD fans! I hope you all are having a wonderful, stress free weekend, and if you are in the US a long weekend as well! I am so excited to share these products with you today so I am going to get right to it. 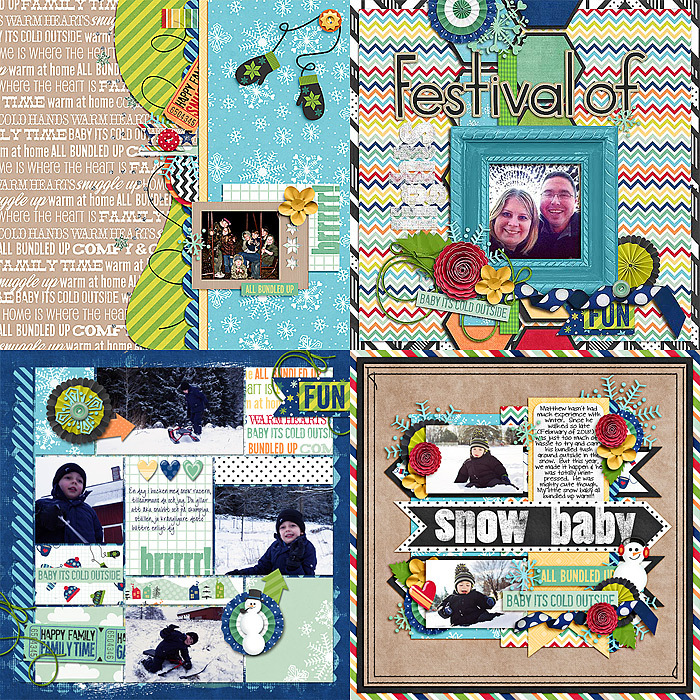 First is the first kit in a new line of family oriented kits from Traci Reed and I, A Happy Family: Bundled Up, It invites you to gather everyone and get together. 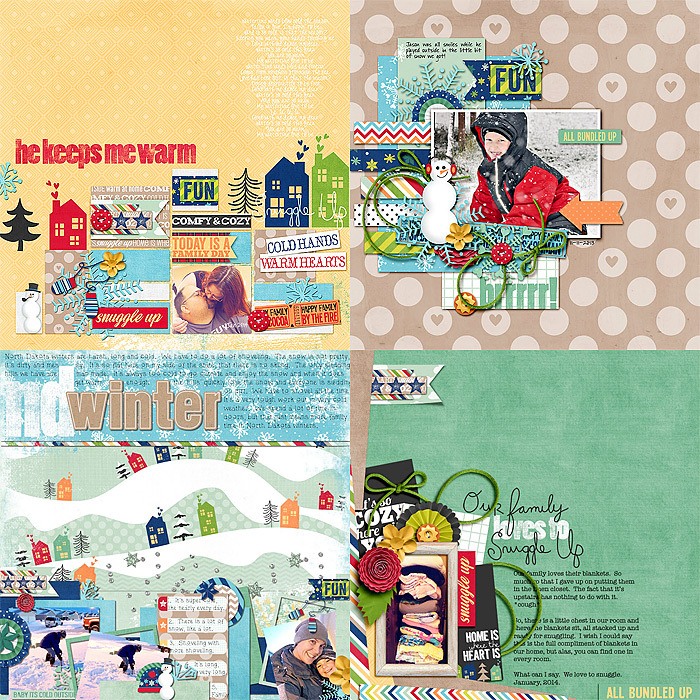 Relive the warmth of snuggles by the fire with cool winter references and fuzzy warm elements. 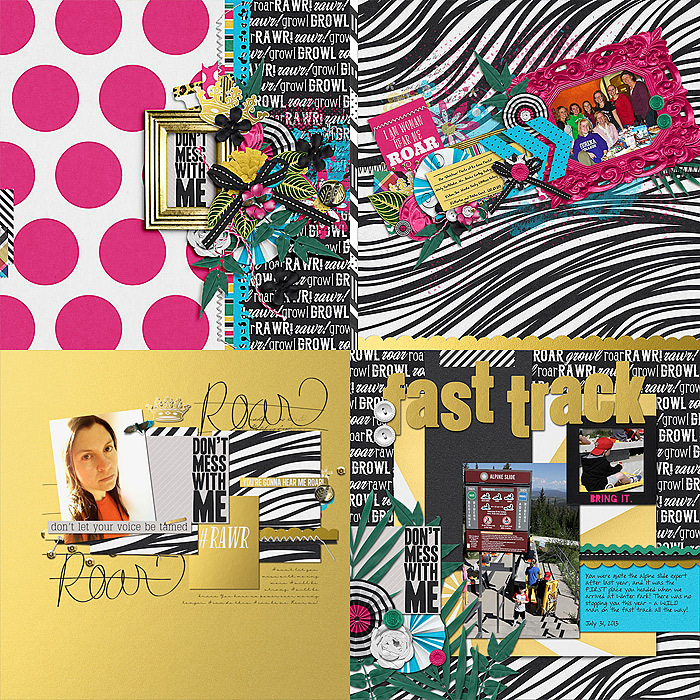 Get fired up from family game night with bright colors and fun word art. A Happy Family:Bundled Up gives more meaning to treasured cozy times together with the family. 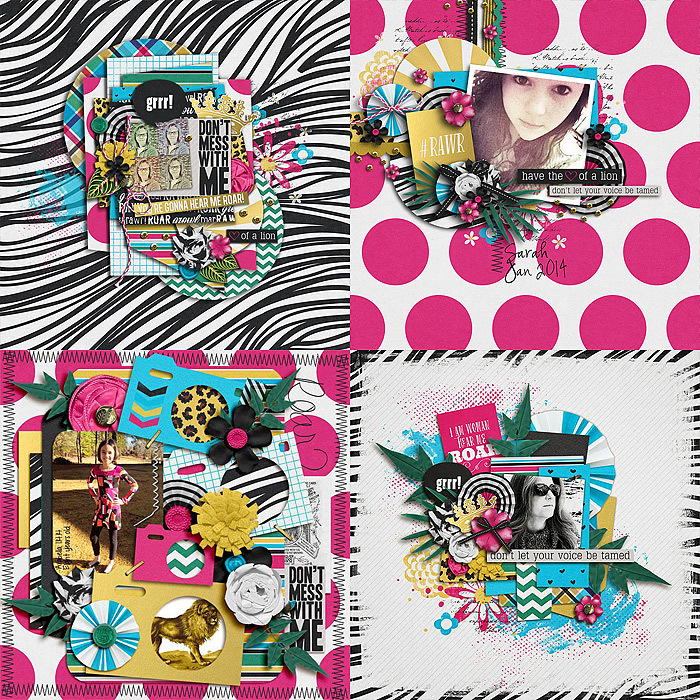 Here is some inspiration from my crazy talented Creative Team ladies! Next is my solo for the week. Roar! is filled with bright colors, animal prints and a touch of gold, perfect for when you want to let your wild side out and make some noise! Look at what my CT did with this beauty! Now for the fun part! The winner of Roar! The winner or Roar was comment #12 by Lorry! Congrats, Lorry! Tanyia will be emailing you shortly with code to get your copy of Roar! Have fun using it! I hope you all have a wonderfully crafty weekend! Stay warm!